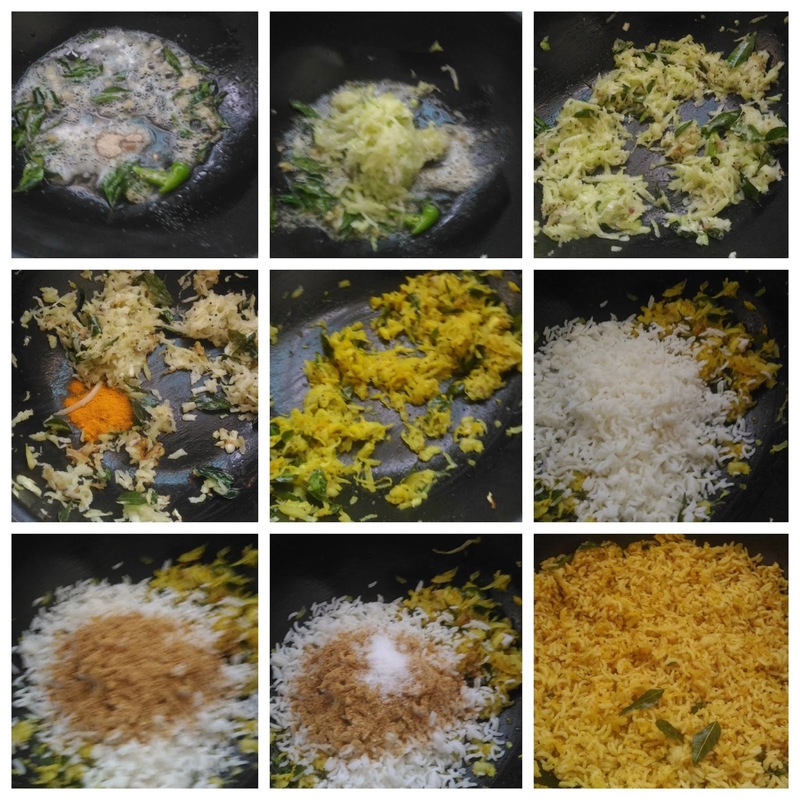 I have already posted a Mango Rice Recipe which is very much like lemon rice. This is very famous recipe in Andhra; they add a few spice powders to spice it up. I learnt this recipe from one cook book. Click HERE to checkout 20+ Rice Recipes. 1. Dry roast the chana dal, urad dal, red chillies and coriander seeds till thee nice aroma comes out from it. 2. Allow it to cool down and grind them into a fine powder using the dry mixie jar. 3. Peel the skin of the mango and cut it into two halves vertically. Then remove the seed from it. 4. Grate the mango using the grater. Keep it aside. 6. Add curry leaves and chopped green chillies. Sauté for few mins. 7. Add grated ginger and fry for few seconds. 8. Add hing and mxi them well. 9. Add turmeric powder and grated mango. Mix them well and sauté for 2 seconds or raw smell of the mango goes off. 10. Add cooked rice, salt and ground powder (from 2). Mix them well and close the lid of the pan. Cook for 2-3 mins. 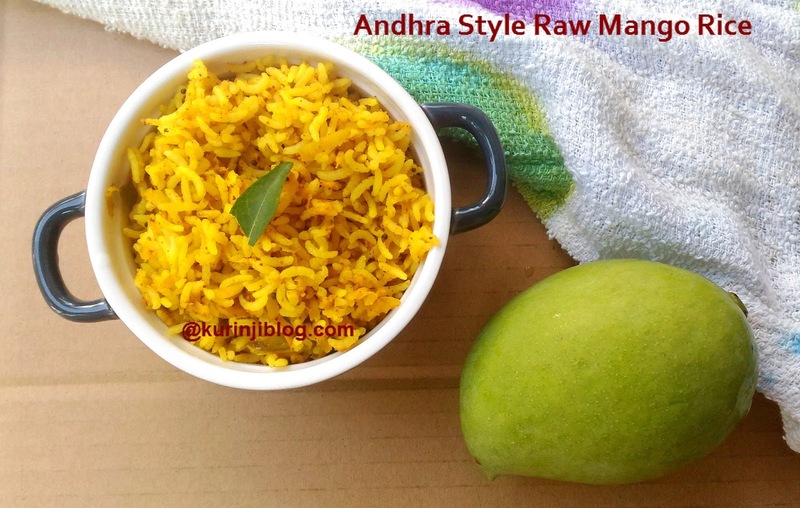 Delicious and yummy Andhra Style Raw Mango Rice is ready!. Serve with Fryums. 1. Adjust the chilli level according to your spice level.